Come visit us in beautiful Hood River! We offer electric cruiser bike, electric mountain bike, and electric cargo bike rentals. Our rates are outlined below and also via the Book a Rental button - don't hesitate to call or email with any questions! Staying in town a few days? We offer 15% off daily rental rates for multi-day rentals, and we can deliver right to your door at your hotel or vacation rental. 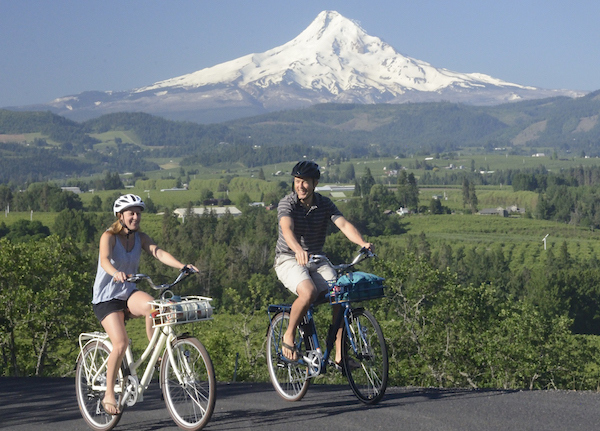 Tour the town and the surrounding area in style on our comfortable electric cruiser bikes. 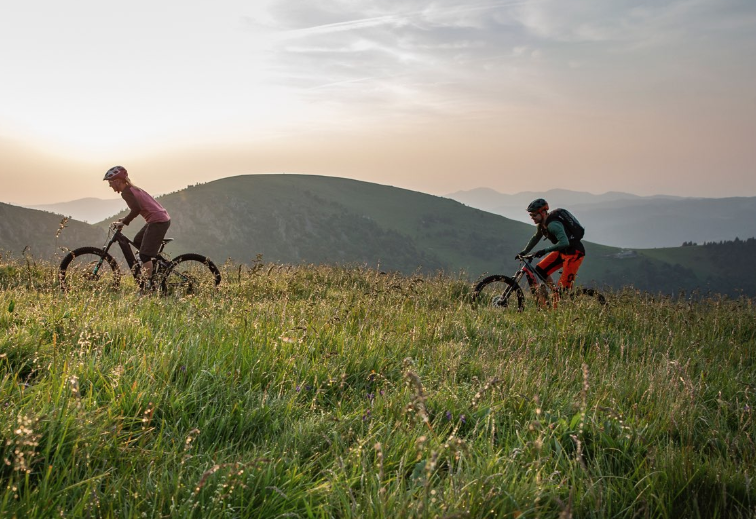 Offering up to 60 miles of range per battery charge on the friendly Gazelle Medeo, we can recommend routes based on your interests - wine, beer, fruit, vistas, or all of the above! We are lucky to be a 10 minute pedal from the stunning Mark O. Hatfield 'Twin Tunnels' trail, a 5 mile car-free stretch of the historic Columbia River highway. Along the way the trail winds through the Mosier Twin Tunnels, and we recommend heading into the town of Mosier for a bite or beverage! Experience the spectacular trails of the Gorge from the seat of an e-mountain bike. Our e-mountain fleet includes the full-suspension, top of the line Genius eRide 910 from SCOTT USA. A great way to spend the day outdoors in the fresh air! Hood River's Post Canyon trail system was named one of the country's 'destination-worthy rides' for electric mountain bike adventures by People for Bikes, and we agree! Pick up any time after 9am, return by 5pm. Reservations available, payment taken at the time of reservation. Cruise with your kids or with your gear. 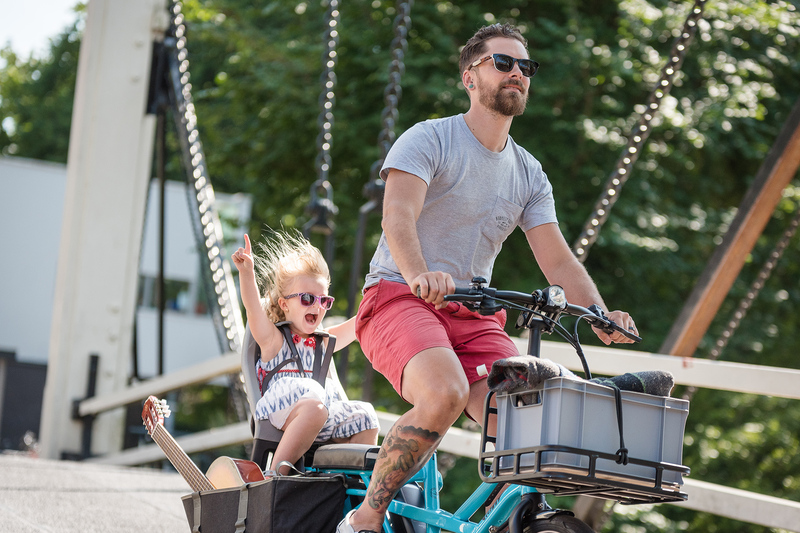 We have the popular Tern GSD cargo bike available for rent, and it's a crowd pleaser! Equipped with the ultra-powerful, ultra-smooth Bosch Performance Line motor and dual batteries for 900Wh range available, you'll ride for miles while your kids sit back with all smiles.